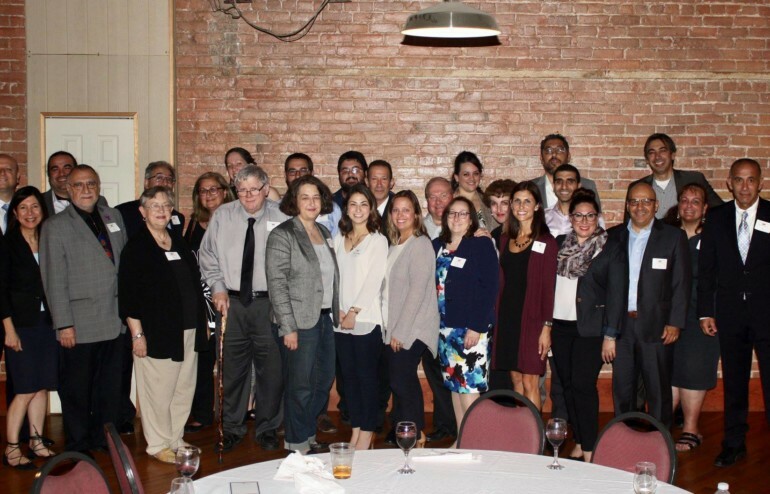 DETROIT, MI- On Friday, September 21st, members and guests of both the Armenian Bar Association and the Michigan-based Armenian American Bar Association (AABA) from Detroit, Los Angeles, Chicago and Toronto gathered for an evening of networking and fellowship in Detroit’s historic Eastern Market district. Special guests included Branch County Probate Court Judge Kirk Kashian, newly appointed 17th District (Redford Township) Court Judge (and former AABA President) Krista Haroutunian, former Armenian Bar Chairs Armen Hovannisian and Saro Kerkonian and former AABA Presidents Diane Margosian Paulsen, Sevahn Merian, Lara Nercessian and Kathy Ossian. In addition to the company, attendees enjoyed a slide show of the Armenian Bar Association’s trip to Armenia and Artsakh for its Annual Meeting in May and brief remarks from Armenian Bar Chair Gerard Kassabian and AABA President Lisa Tehlirian. The event promises to be the first in a long and fruitful relationship between the two bar associations!